Lately I've been focusing on my digital clutter, sharing my Spring Cleaning Tips for Your Blog and 5 ways to start reducing your electronic clutter. Since I've been working on my digital world my physical environment seems to be staying and getting even more cluttered! That's no good! One thing that my mom and every other organizational guru says when you're in a hurry do tasks you can complete in less than a minute. Looking around there are definitely items you can get rid of this minute and that take less than a minute. One of the small things in life that I love is having a couple of magazine subscriptions. For a little while I had a quite a few of them and after I read them I didn't want to just toss them in the garbage since I had paid for them. I started a sort of magazine circle between myself, Bethany, my Mom & my mother in law. 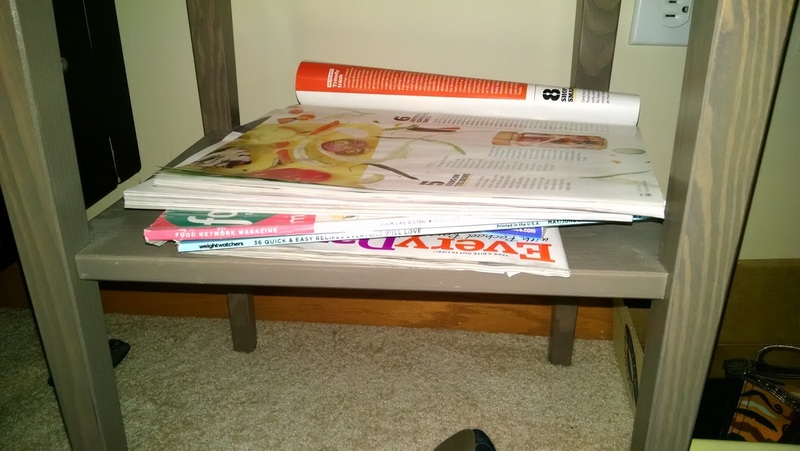 we would rotate any magazines we acquired around and the last person would pass them along to someone else, at work or wherever. So not exactly a toss it moment but as soon as I read them they're leaving the house! This might just be a me thing. I wear the knee high nylons under my work pants with a lot of my nicer shoes and half of the time they have runs like crazy. Instead of wearing those ragged ones with the run up the calf and in the heel just pitch them!! You'll feel way more professional and put together when you have a nice pair with no runs, plus you won't be keeping a ton of them around. 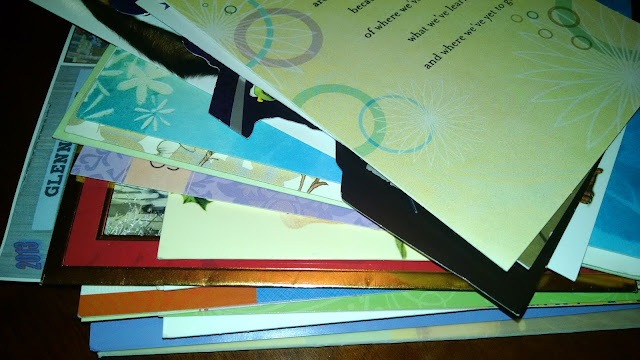 Cards are one of those items where you appreciate getting them but then you see them a few weeks later and say ugh! You hate to throw ones from super special occasions, like a wedding or big birthday, away but then there are others from not so special days that pile up. For me I've decided that anything not super special like that thank you card from Aunt Whatshername or the birthday card from the co-worker you sorta know can be tossed. 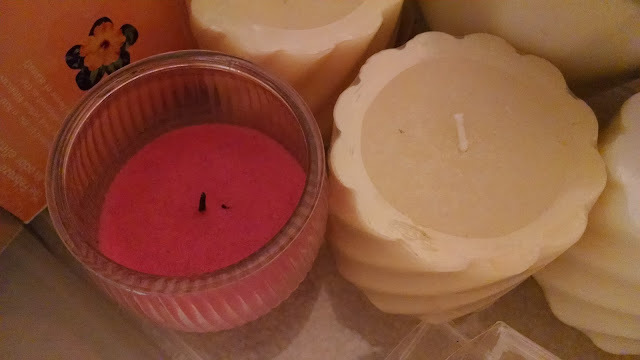 I realize that some people are definitely candle people and others, like me, just seem to accumulate them. I somehow have a drawer full of candles. Not a huge drawer mind you but still a decent amount for someone who doesn't really burn them. These bad boys are definitely joining the garage sale bin! With my efforts to save money comes ads and coupons. Somehow all the ads from the past week never quite seem to make it to the recycle in a timely manner. Or sometimes I tell myself I'm going to keep it and head to that store this week for X item. Silly thoughts really. Unless it's something I really really need or really really want I'm just keeping the ad and making a mess. I'm not saying don't shop smart but I bet there is a handful of ads you have sitting that you can toss right now. 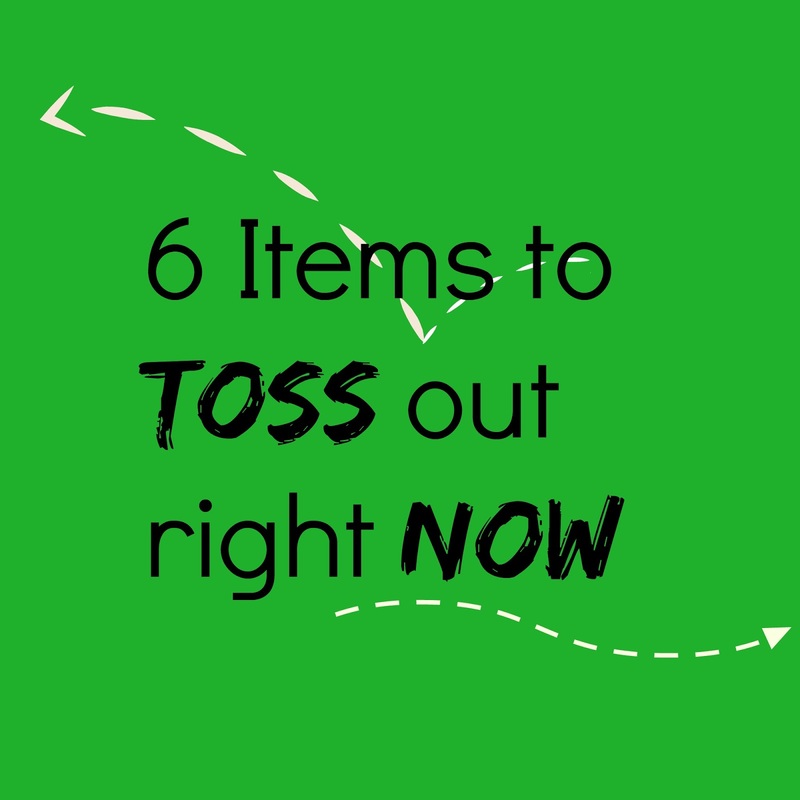 So have you checked out to see if you have these items to toss?? What other toss right now items would you add to the list?